The carnival—a place of fun and entertainment. It has become popular when the television and other sources of entertainment were not so easily accessible. Since the movies and television were not as available as today, the carnival was definitely the go-to place. 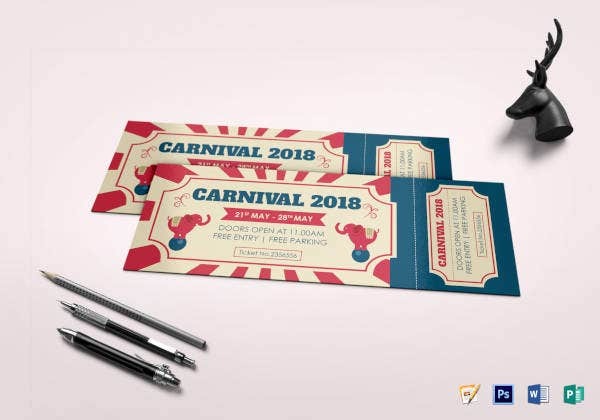 With hundreds coming in every day, there is one method that has been used ever since to entice newcomers and regulars alike and that is by handing out carnival tickets. 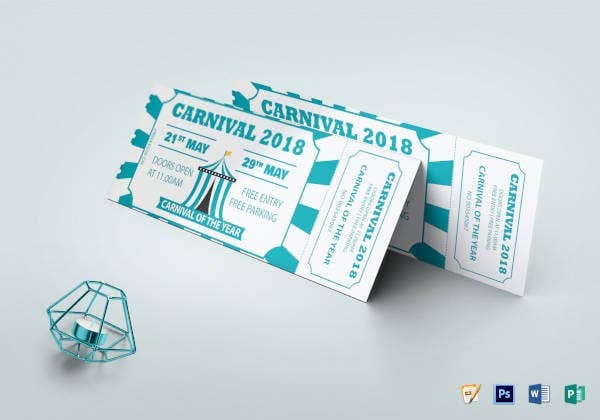 If you are planning on printing some carnival tickets of your own, then feel free to take a look upon what we have to offer down below! 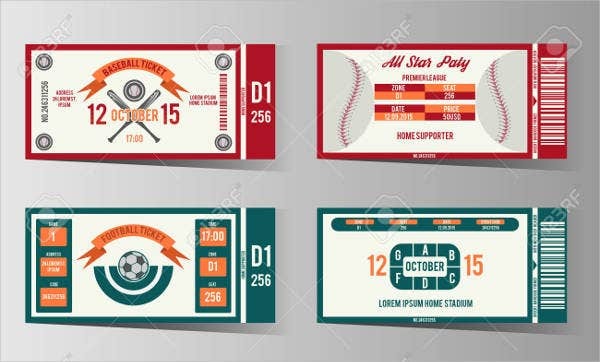 But if you are looking for more samples, you can also check out our other ticket templates that we offer here on our website. What Exactly Is the Carnival? Carnivals are festivals, in other words. They are usually held as a tribute of a particular religion, cultural, or historical figure. Carnivals offer plenty of entertainment choices, all of which vary. 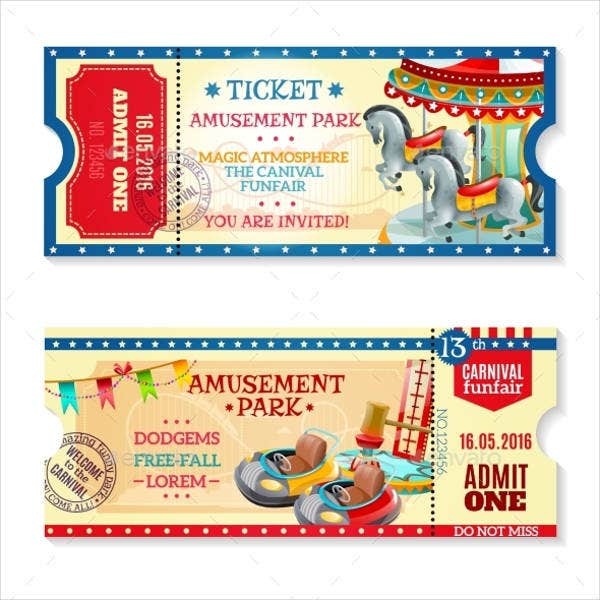 Most commonly, they include amusement rides, stalls that sell toys and candies, stalls that also have mini games, and entertainment shows. 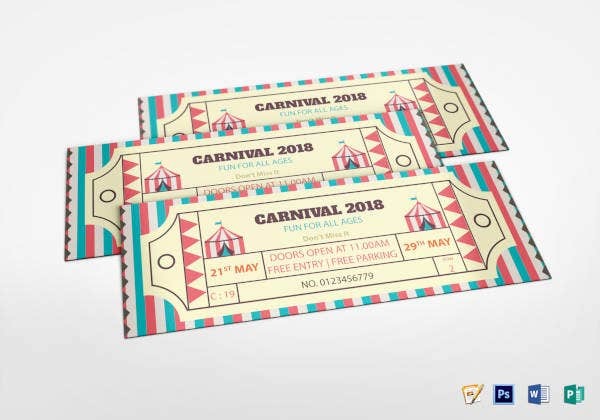 Most commonly, carnivals are located outdoors and cover a large space so that the crowd can walk around and choose their desired form of entertainment. You might’ve seen the carnival during your childhood or on movies. The sight of cotton candy and roller coasters are all signs of a great carnival. 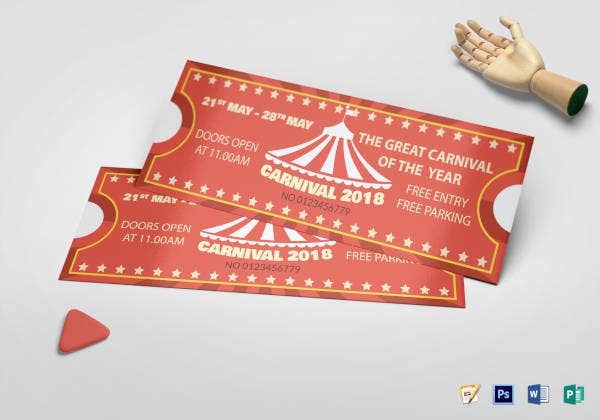 With stalls that allow you to shoot rings into bottles or just by tossing a ball to win a prize, it’s no wonder that the carnival is one of the most anticipated events in the year. But before entering a Carnival, there has to be a fee. 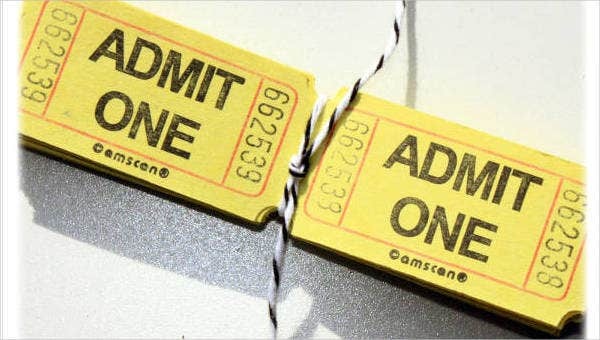 Most commonly, they offer tickets which you can purchase and grant entry. After doing so, the carnival is yours for the taking! 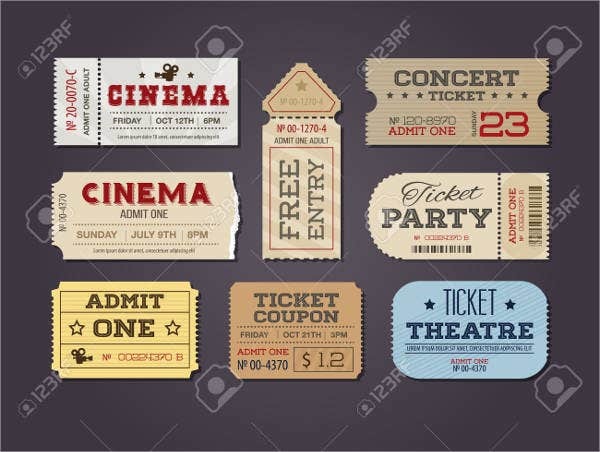 For more ticket-related templates, you may also check out our ticket invitation templates that we offer on our website here on Template.net. 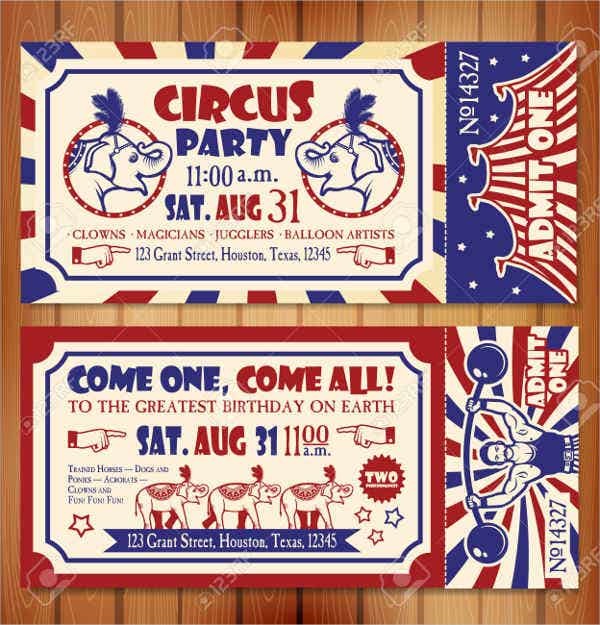 What Is the Difference between Circus and Carnival? 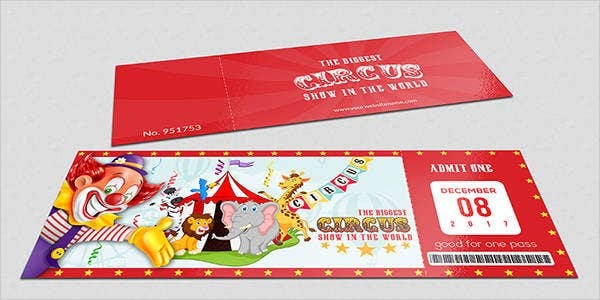 A circus is held in a ring or wide, circular tent where crowds will be seated or gathered around to watch the exhibitions by entertainers and trained animals. 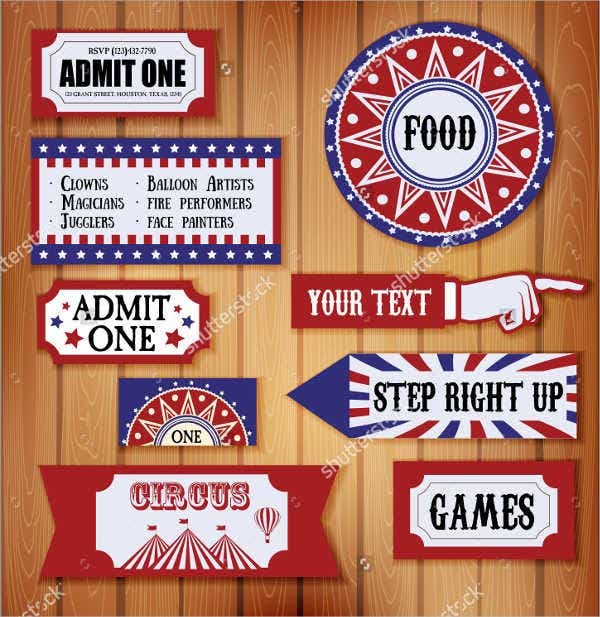 Is an event which is held by a group of professional entertainers such as jugglers, acrobats, stuntmen, and clowns who travel from place to place to gain popularity and attract people in watching their performances. 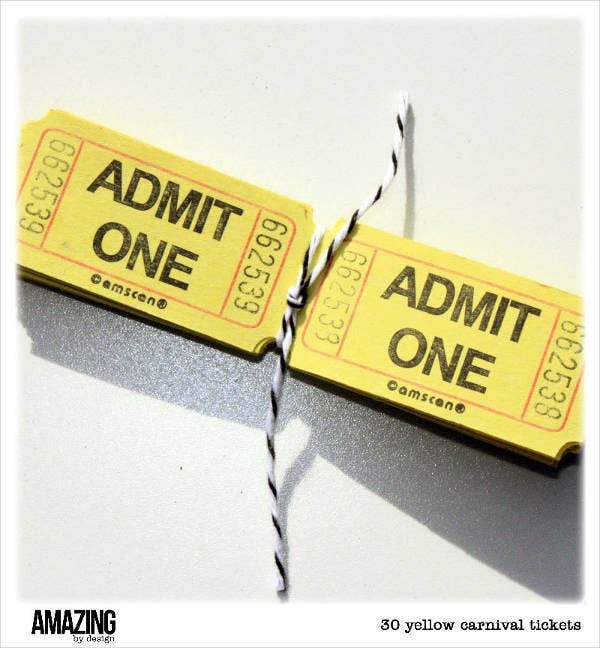 They include trained animals and props that help in grabbing the audience’s attention. Carnivals are held as festivities in tribute to a religious, historical, or culturally important figures. Includes entertainment varying from amusement rides to food stalls. Usually held outdoors and cover a wide amount of space for people to walk around and check the entertainment choices available. 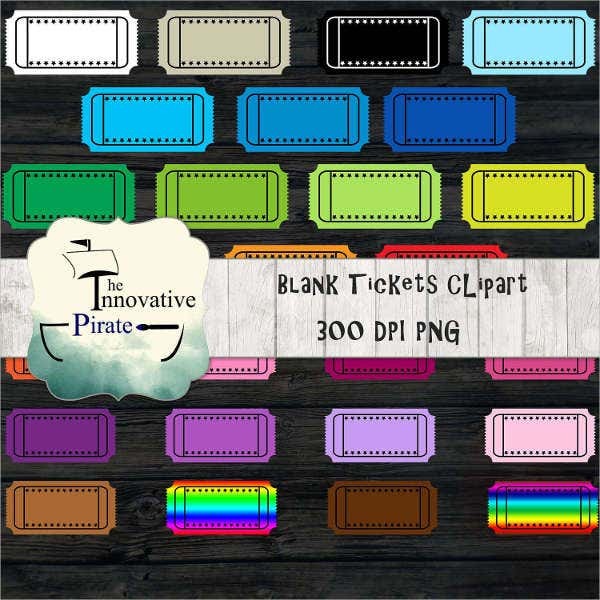 For more ticket-related samples, we also offer printable ticket templates on our design and template pages. 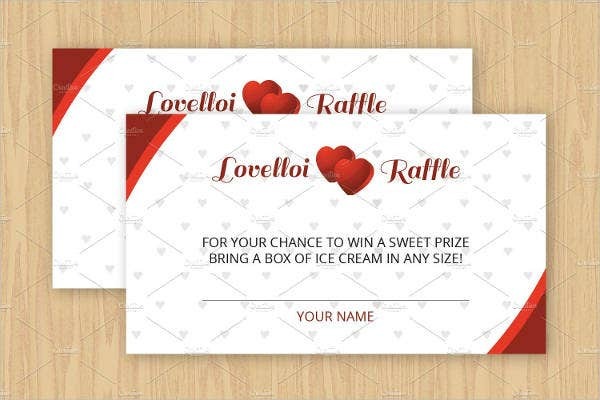 CD Envelope Templates – 11+ Free Word, PSD, EPS, AI Format Download!